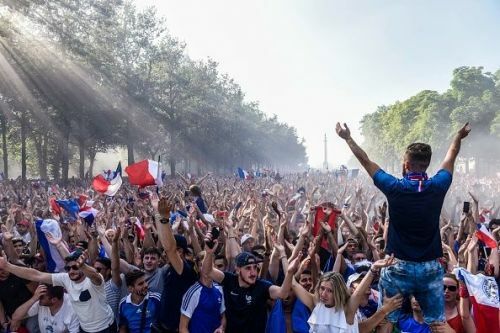 The 2018 FIFA World Cup concluded on Sunday, as France lifted their second title following a 4-2 victory versus Croatia. Les Bleus were able to rely on the likes of Kylian Mbappe and Antoine Griezmann to guide them to victory, and it was truly one of the most entertaining World Cups in recent memory. Captivating upsets and incredible drama were seen often, and every match seemed to be entertaining. It was a wonderful month of football, and there is also a sense of sadness that it will be the end of the tournament in this form. The 2022 World Cup is set to be played in Qatar, but the timing will certainly be different for fans around the world. The competition is scheduled to be played from November 21 to December 18, and staging the tournament outside of the summer will be an adjustment for all involved. The immediate element that jumps out is how leagues around the world will deal with this unique change, and how it will be taking place right in the middle of the 2022-23 season. A winter break of sorts will be in order to deal with the situation, but the games will be at a very different time in the calendar. After that tournament, the 2026 World Cup is slated for North America and will be jointly hosted by the United States, Mexico, and Canada. The matches will return to the summer, but the format is changing in a significant way. For the first time since 1998, international football's most prestigious event will expand and will have 48 teams in the fray instead of 32 at present. The logic, in this case, is completely understandable from FIFA, as more fixtures will be played and more money is generated. 64 matches will become 80 then, and the group stages are where the main modifications will be seen. The opening round will feature 16 groups of three nations, with the group winners and runners-up advancing to the knockout stage. Ultimately, the finalists will still play seven matches to become the World Cup champion, essentially with one group match becoming an elimination game. This will also allow the competition to be completed in the same timeframe, despite the increased number of matches. UEFA expanded the European Championships in 2016, switching to a 24-team format from 16, that brought about strong opinion and some concerns from fans. Would this dilute the overall talent at the competition? Would this make early matches less enjoyable? Depending on who you ask, these questions can be answered with a "yes" or a "no". Sensational stories like Wales and Iceland emerged, and it was fantastic to see these nations at a major tournament. But there were some frustrating elements for purists also, like eventual champion Portugal making their way to the final, without winning a group-stage match. With the top two teams of a group advancing in the 48-team World Cup, there are bound to be games that will be somewhat meaningless (think Belgium's group finale against England this summer where nobody seemed to be fighting for victory). There will likely also be teams punching above their weight, making for lopsided scorelines. These same thoughts were seen when the 1998 World Cup was expanded from 24 to 32 sides, but the current format was ideal in so many ways. A summer where the entire planet comes together for football and everything seems to be packaged just right. 64 matches, one champion and an infinite number of amazing memories. The 2018 version in Russia provided that and did it perhaps as well as it's ever been done before. The future will always bring change, and the World Cup is no exception. I'm sure there will be superb tournaments in the coming years, but I will certainly miss the format that was so perfect.